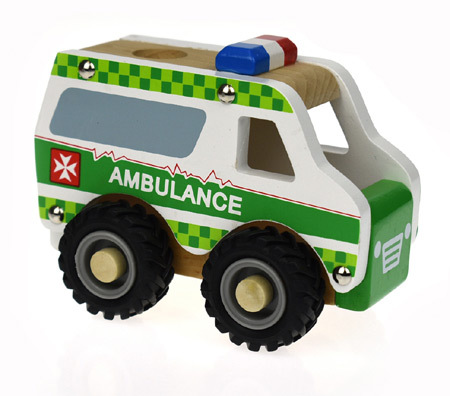 Wooden Toy Ambulance is a well made quality wooden toy with lovely tough rubber wheels. This Ambulance is painted with the very recognisable green and white livery of an Australian ambulance. Size: 13cm long x 8cm wide x 9cm high. We like this because: "Every truck collection needs an ambulance."